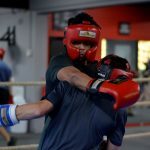 The Original and Best “Old School Fightcamp” is well underway for 2013.We are 2 weeks into the progam and we have certainly had some tough training sessions to get the boys in tip top shape for the bouts on June 27. Jack Duffy lost 4kg in week 1 and many of the other boys are catching up to him now at the half way point. Stingray has had man flu for what seems to be for the last 5 years but keeps soldering on and he is also putting in the hard yards at Training. There are quite a few new boys in fightcamp this time with some big wake up calls for them ,like when I took them on a 14minute Hill Run followed by the dreaded G’20’s. Everyone is putting in a great effort and it is always a great team building exercise,with all the boys bonding closely and then boxing off on the final night. We are all preparing for the novice titles on June 22 and we will be taking a team of 9.Training is going well and we have a big sparring week planned, before an easier final week of preparation.Amateur Club Captain,Mitchell Coomer is currently having a break to rest his Injured wrist that he hurt 4 weeks ago and after the wrist heals it will be a big push in the second half of the year to aim for the 2013 State championships, 2013 State representative,Ronan Paulos will be back in action on July 22 after carrying a knee injury for the last 2 months and we look forward to seeing his development. 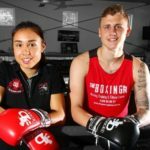 Liam Hutchinson and Damien Hooper will box in New Zealand on July5th with both boys looking at Improving their records to 7-1 and 3-0 respectively. Irish Paddy Murphy travels to Ireland for a bout on July 12 where he will come up against Michael Kelly for the Celtic Welterweight title. Kelly has fought the best in the business including former World Amateur Champion and now professional super star Frankie Gavin. A tough test for Paddy but Im sure we can do the business and add another title to his record. Do your best to drink water throughout the day. Experts disagree on exactly how much water to drink, but an active individual should generally drink between 8 to 10 cups every day.